Two Medieval Templar Knights stand holding their shields and swords at rest, ready to receive their next orders from his majesty. 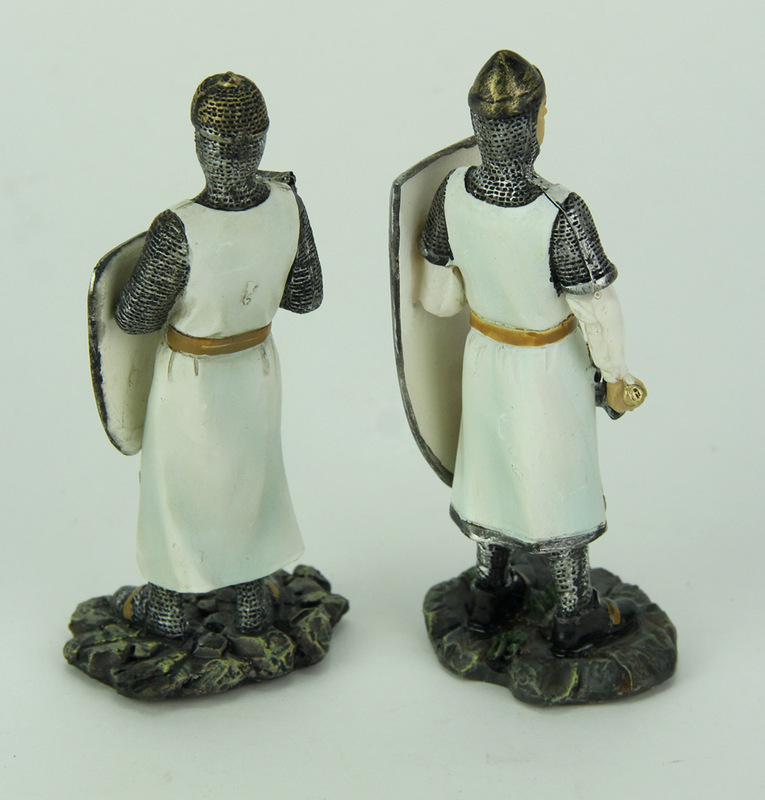 In two distinct styles, each figure wears chainmail armor and a white tunic. Cast in resin in intricate detail, each 5 inch tall, 2 inch long, 1.5 inch wide knight is artistically sculpted and hand painted in intricate detail, right down to the chainmail texturing, you won't forget these knights! Let these knights keep watch over their position in your home.